Clean the sardine and apply salt,red chilly powder,coriander powder and tumeric powder. Mix well all the ingredients so that masala coats all the fish. Take the semolina in the plate,to that add 1 tsp of red chilly powder and mix well. 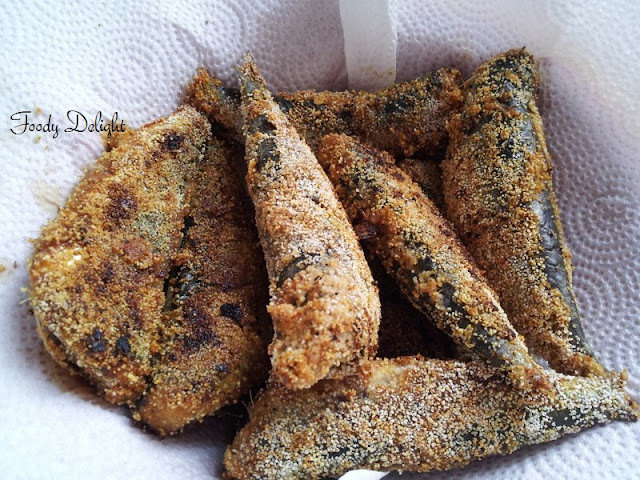 Roll each sardine in semolina and shallow fry it . Sardine fry is ready to serve.